A recent survey by the Macular Society has revealed 53 per cent of people are not aware that smoking causes blindness. The survey was unveiled in the lead up to Macular Week (26 June – 2 July), which raises awareness of one of the biggest causes of sight loss in the UK – age-related macular degeneration (AMD). 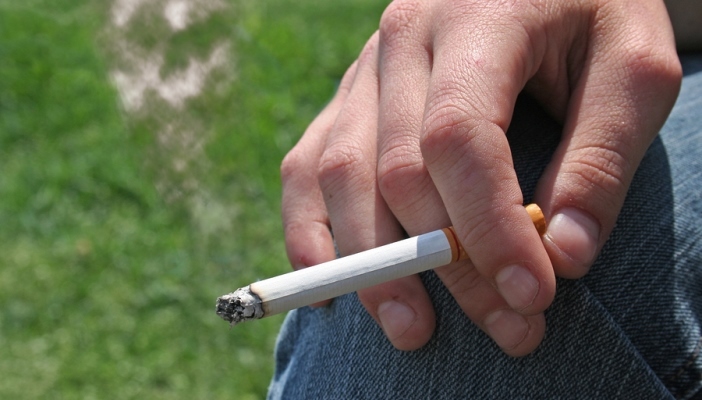 The charity believe that smoking is the biggest ‘modifiable’ risk factor when it comes to AMD and smokers are up to four times more likely to develop the condition. Passive smoking can also have an impact on your eye health. Even so, in 2016 RNIB’s State of the Nation report showed that there were nearly 10 million people in the UK who smoked (19 per cent of the population). AMD is an eye condition which affects the central part of your retina which is called the macula. It causes changes to your central vision which can make some everyday tasks difficult. During Macular Week the Society is highlighting the harmful effects of smoking on your eyes. One person who was unaware of the connection between smoking and sight loss was Sylvia Webb from Amersham. Sylvia, aged 85 who is a Macular Society volunteer, smoked for more than 30 years and was diagnosed with AMD in 1987. She said: “Most people realise there’s a possibility that if you smoke you might get lung cancer or another cancer, but they don’t know you could lose your sight. Many of the chemicals in tobacco smoke are extremely toxic. These toxic chemicals are then transported to the delicate tissues of the eye through the bloodstream, where they damage the structure of the cells. Cathy Yelf, Chief Executive of the Macular Society, said: “It is surprising how many people do not realise that smoking causes blindness. The message is often missing from anti-smoking messages, which simply concentrate on the life-threatening side effects of smoking. Sight loss, however, is a very important effect of smoking.